When taking out a payday loan, it’s important to think about the most responsible ways in which you can use them without incurring debt. A payday loan represents a short term loan that generally ranges between £50 and £1000, and is ideally taken out to cover emergencies, with high APR and a short repayment period included in an agreement. There are some risks attached to payday loans that can be made much worse by irresponsible borrowing, making it crucial to be careful in how you use them. What are the key areas that you need to be aware of when taking out a payday loan, and what should you avoid if you want to avoid significant debt? Primarily, the risk attached to payday loans comes down to whether or not you can afford to make a repayment within an agreed upon time. Payday lenders can offer an APR where borrowing £100 can mean having to repay £125 within a month. As long as you can plan to make a repayment through your next wage packet, then you should be able to accept this risk as part of a standard payday loan process, and as a side effect of an emergency where you can’t get hold of other funds. However, it is common for payday loans to be used irresponsibly. Borrowers often don’t take the time to understand the amount of risk that they’re bringing upon themselves with a loan, and may not be able to repay the loan without causing further charges for late payments. Some borrowers will also take out a new loan in order to repay the old one, which can make it much harder to avoid long term financial problems. Responsible borrowing should always focus on what the actual cost of a payday loan is going to be, and should not involve borrowing more than you can realistically expect to pay back before you receive your next wage packet. Taking out multiple loans to cover an initial borrowing mistake, and building up more debt with subsequent loans, is only going to make things much worse. It’s possible to be more responsible about using payday loans by always knowing your reasons for taking out money, and by being aware of what penalties you may have to pay. If you do need a more regular source of credit, consider other borrowing options like a credit card or a personal loan that has a repayment schedule more suited to your needs. 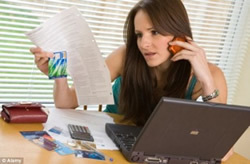 Don’t view payday loans as a regular habit unless you can afford to repay them with charges and interest. If you do get into debt, speak to Citizens’ Advice and other organisations like the National Debtline before borrowing any more money. Similarly, make sure that you read the full terms and conditions listed on a payday loan website before you make a decision to borrow. One of the advantages of using Swift Money is that waiting times and charges for loans are mad clear. A customer charter is also available that outlines what counts as ethical borrowing, and how the company will deal with complaints. Having this information can make it much easier to avoid borrowing more than you can realistically pay back. Used correctly, payday loans can cover short term losses and emergencies, and can represent a responsible way to borrow if you’re clear about repayments and what might go wrong if you get into debt. Irresponsible borrowing habits, from missing repayment deadlines as the result of poor planning to taking out multiple loans from one or more providers, is only going to generate a high volume of debt that’s going to be very difficult to escape from once built up.